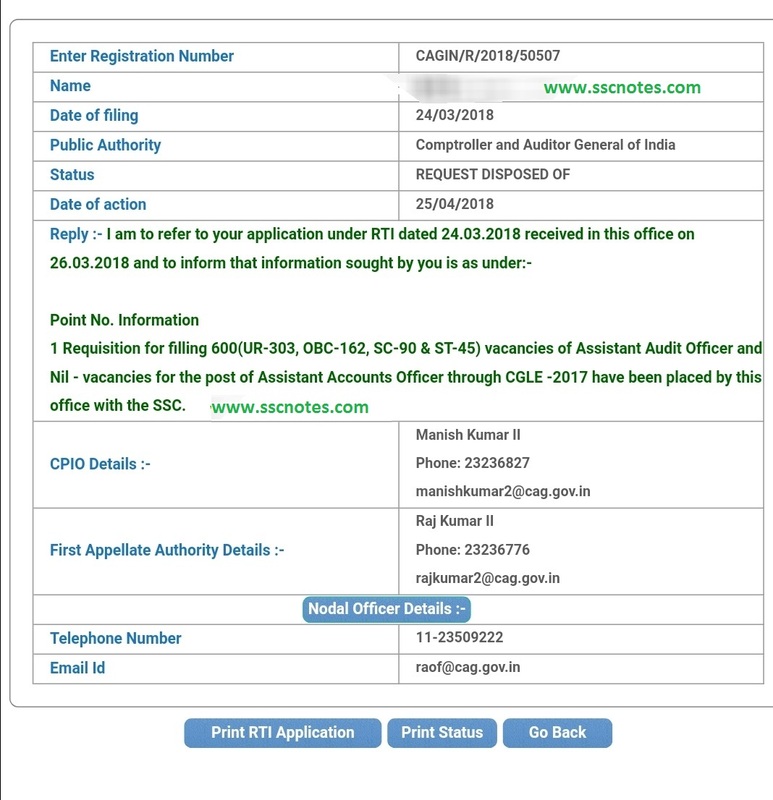 In this post, we are sharing an RTI Reply dated 25.04.2017, in which the current status of AAO Vacancy was asked. The reply is stating the same vacancy of 600 posts in Assistant Audit Officer and NIL Vacancy for Assistant Account officer. 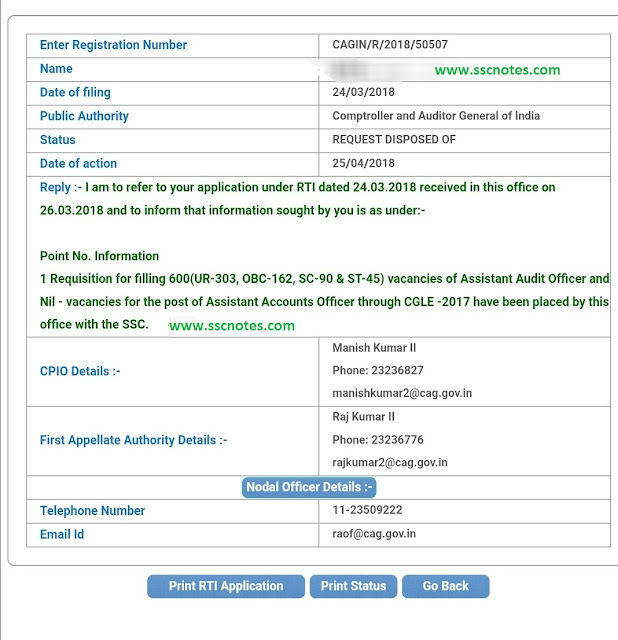 Requisition for filing 600 (UR-303, OBC-162, SC-90 & ST-45) vacancies of assistant Audit Officers and Nil Vacancies for the post of Assistant Accounts Officer through CGLE 2017 have been placed by this office with the SSC.